At personal trainer solutions, we will match you with a trainer according to your budget. Enjoy training at your desired training location, within your training budget. No expensive contracts! No expensive gym membership sign-ups. Ready to start on your fitness journey, loss the extra weight you always wanted or build the muscles you always dream of? WhatsApp or call our fitness manager who will provide a free consultation over the phone on which training plans best suits you. Bronze Trainers: Competent and Skillful trainers that have been selected on board with us from our in-house selection criteria. 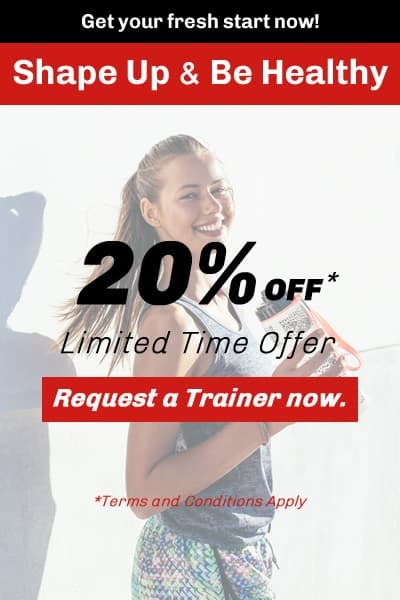 Personal trainers with up to 2 years of experience. Silver Trainers: Highly Experienced trainers with 2 – 6 years in personal training and coaching. Certified trainers from various accredited organizations. Trainers from this category are well-qualified in developing training programs towards a more specified target, focusing on results and achievements. Gold Trainers: Professional Trainers who possess all the skills to help clients to achieve the results they want. Trainers in this cateogry hold specialized certifications with clients with special needs (e.g. Rehabilitation, pre natal. TRX) Or have vast experience in competitive sports (power lifting, swimming, marathon). Trainers with 6 or more years experience in personal training or sports coaching. The rates indicated above are for per individual per session. We highly recommend for potential clients to consider engaging a personal trainer for a practical time frame of 8 weeks to see real desired results.